This theme is to help the children understand how babies communicate, through gestures, facial expressions, movement and vocalization. To recognise babies growing abilities and temperment. The children see the role of nursery rhymes in language learning. 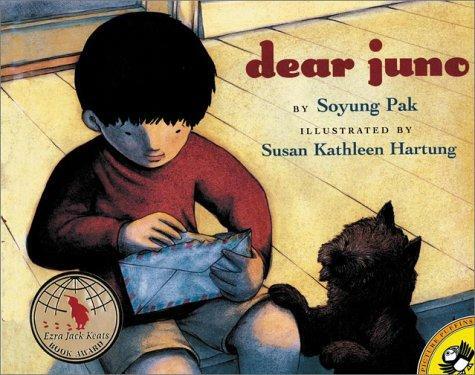 Juno's grandmother lives far away and writes in Korean. They speak different languages so it is hard for them to communicate. Juno and his grandmother love each other and find a way to communicate. The children had made a Nursery Rhyme picture book for Daniel. We all sang some of the Nursery Rhymes to him and watched for his reactions. Daniel got down onto the the green blanket with his mum and the children played with the rolling balls and other they other toys. They watched how Daniel had developed. Daniel can now hold a ball in each hand and roll over at the same time! We talked about ways that we van communicate without words. If you were cold, too warm or wanted someone to be quiet. We then talked about how to communicate with someone who couldnt hear and how we could communicate and talk to them to make them feel included.